A King George's Field is a public open space in the United Kingdom dedicated to the memory of King George V (3 June 1865–20 January 1936). To promote and to assist in the establishment throughout the United Kingdom of Great Britain and Northern Ireland of playing fields for the use and enjoyment of the people. 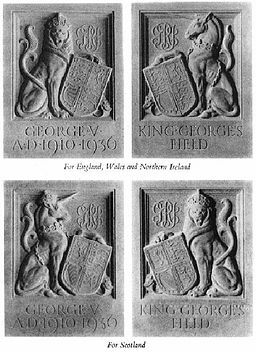 Be styled 'King George's Field' and to be distinguished by heraldic panels or other appropriate tablet medallion or inscription commemorative of His Late Majesty and of a design approved by the Administrative Council. Money was raised locally to buy the land, with a grant made by the foundation. After purchase the land was passed to the Fields in Trust, to "preserve and safeguard the land for the public benefit". Land was still being acquired for the purpose during the 1950s and early 1960s. When the King George's Fields Foundation was dissolved in 1965, there were 471 King George Playing Fields, all over the country. 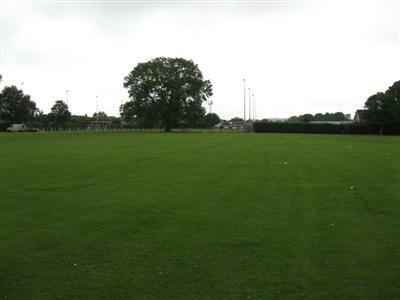 They are now owned by the National Playing Fields Association and managed on their behalf by either the council or a board of local trustees. 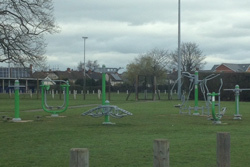 There are strict covenants and conditions that all go to ensure that the public will continue to benefit from these open play areas. Links from Wikipedia, the free encyclopedia.